Many of us are familiar with the bad rap attributed to our emergency departments (ED). 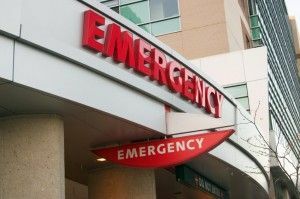 Anyone who has spent time in an Emergency Department waiting room might understand where this negative reputation stems, having experienced the ED’s inefficiencies first hand. In her article “Support for nation’s emergency medical care gets D-plus,” CNN’s Elizabeth Landau likens the infamous hospital unit’s success to that of a below-average student. According to the Centers of Disease Control (CDC), from 1995 to 2010, the number of ED visits increased by 34%. What are the steps that hospitals taking to meet this growing demand? Not enough, according to a study conducted by the American College of Emergency Physicians (ACEP). Even with demand up since 2010, the supply of emergency departments went down by 11%. In the report’s conclusion, the United States was given a D+ overall. The “D” in our grading system might as well stand for “dread,” as this is the feeling most of us associate with it. So how the grade was determined? Upon assessment of 136 emergency medical services, The ACEP, a national medical specialty society, issued the country a “report card.” While some states hovered in the average C-rage, others failed the test, bringing the national average for the United States to a D+. Emergency Department care/access scored a dismal D-. But, EDs won’t be let off the hook any time soon. The ACEP’s report also concludes that the millions recently added to Medicaid under the Affordable Care Act will also seek emergency care when unable to find physicians who accept their insurance. With the healthcare technology and communications systems available today, a D+ should not be grade associated with any healthcare facility, department or service. Active- RFID systems can help improve the performance of nation’s emergency departments, by tackling issues related to patient care, staff rounding, high acuity workflow, and infection control. As healthcare facilities and their executive teams are asked to do more with less, technologies like RTLS can help to locate inefficiencies in healthcare and automate certain processes, leaving staff –especially in the emergency department— with more time to dedicate to what is most important: patient care.